When starting the process of choosing the interior design of your home whether it is a new build or in need of freshening up, there are many design elements that take precedence. What style do you want to convey? Does your color scheme make sense? What key pieces of furniture are you going to purchase? When you overwhelm yourself with these daunting tasks, you can lose focus and ultimately create a dull space that lacks character and warmth. 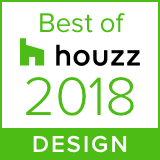 Our designers work to alleviate that stress for you by introducing new interior design elements that you otherwise wouldn’t have selected yourself. Texture is defined as the characteristic structure of the interwoven or intertwined threads, strands, or the like, that makes up a textile fabric. It is also defined as the physical structure given to a material, an object, etc., by the size, shape arrangement, and proportions of its parts. So, while most individuals would think that they are including texture in their interior design by exhausting the number of pillows on a sofa, it is in fact much more than that. Texture in interior design includes a variety of sources from soft fabrics and textiles with movement, to harder materials like stone, and wood. Often interior design texture is what gives a room a special quality or feeling that visitors can’t quite articulate exactly. They can’t pinpoint what is creating the emotion, but they can sense the drama and the emotion the textures create. Conscious and compatible conflict is sometimes the key to using texture in interior design. Two materials when you hold them apart separately seem incongruent and incompatible in texture, but combined in the right space surprisingly create dramatic harmony. 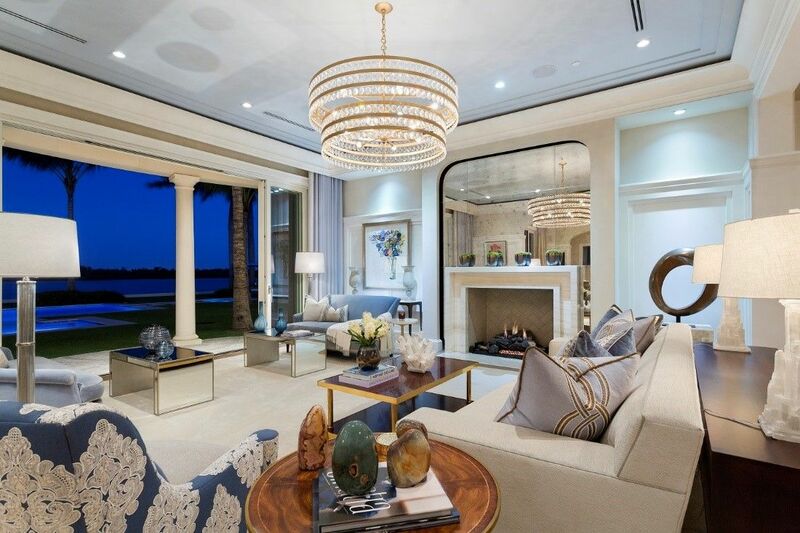 Examine the living room designed by Marc-Michaels in Palm Beach, Florida below. The designer captured the simplistic elegance by mixing fabric patterns that compliment each other. Additionally, the involvement of both wood, metal, and mirrored furnishings offer an exciting and warm take on transitional décor. 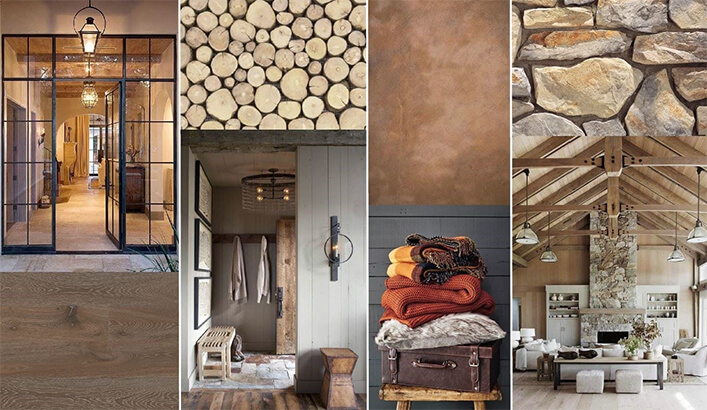 Choosing the right textures in interior design, therefore, takes a bit more confidence. It takes an experienced eye to see what textures work together in interior design. Some textures reflect off materials in the room around them and often bring other materials and textures to life. Note too that light itself is a texture. Understanding the lighting in a room and how that light will change is an important consideration in choosing the right textures for your interior design. One of our favorite elements to talk about is the customization of wall features. In this beautiful example above, our interior detailers incorporated 3-dimensional wall art. This design embodies an artistic take on traditional built-in’s and offers a unique eye-catching element to the space. 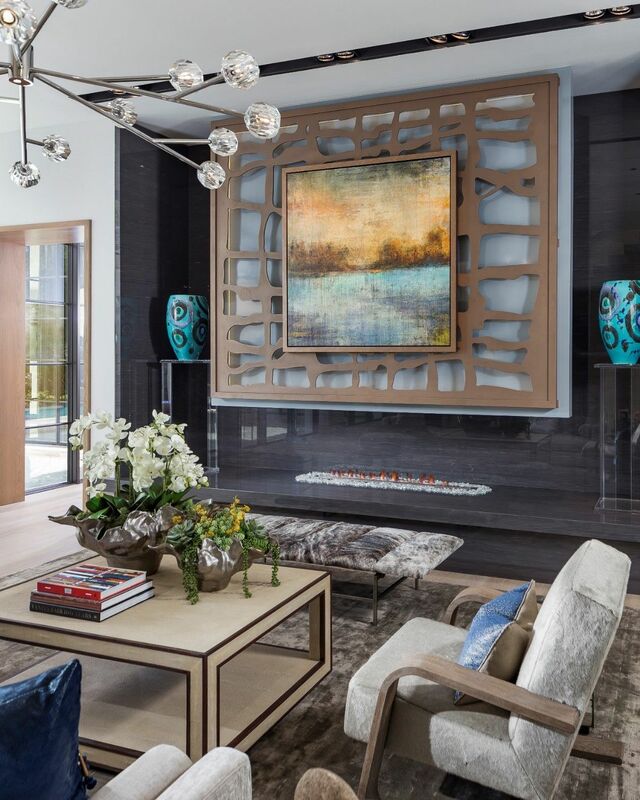 This design along with the plush rug, metal and glass decorative items, and fresh greenery (all carefully chosen textures for this interior design) transforms this space into a textural masterpiece. Look carefully and see how the piece creates and defines space and more importantly acts as an orchestra leader bringing the other carefully chosen textures in the interior design together in one magnificent harmony. 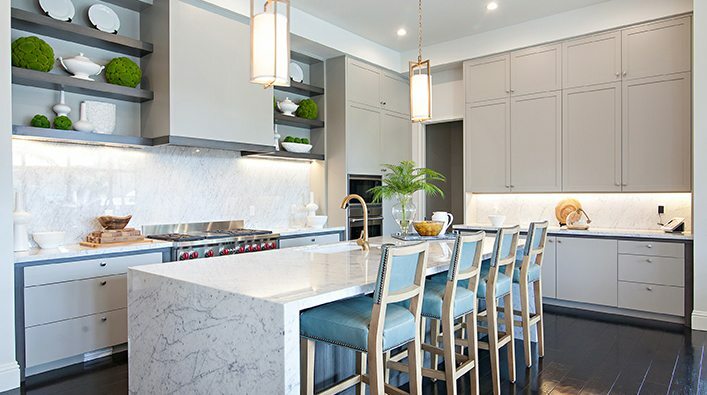 It’s easy to relegate the role of texture in your interior design choices to a lesser position behind your choices of color and furnishings and themes, but it is often the texture that allows the other interior design choices to work together. Don’t be afraid to experiment with textures that when alone, seem incompatible. Texture not only emphasizes personality in the space, but it also creates dimension and can add warmth. Interior design texture is also a way to create uniqueness. No doubt you’ve admired someone’s apparel from afar and said, “I wouldn’t have thought to put those two things together.” That person made a unique impression on you, more impactful than a finely coordinated expensive outfit that blended in with everything else you saw that day.